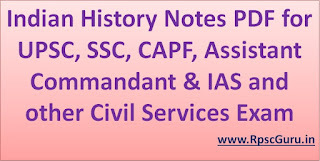 Dear Readers today we are sharing Indian History Notes PDF for UPSC, SSC and various Civil Services exams. We are always working hard to presenting best results in all exam. This file covered completes Indian History detail Notes. 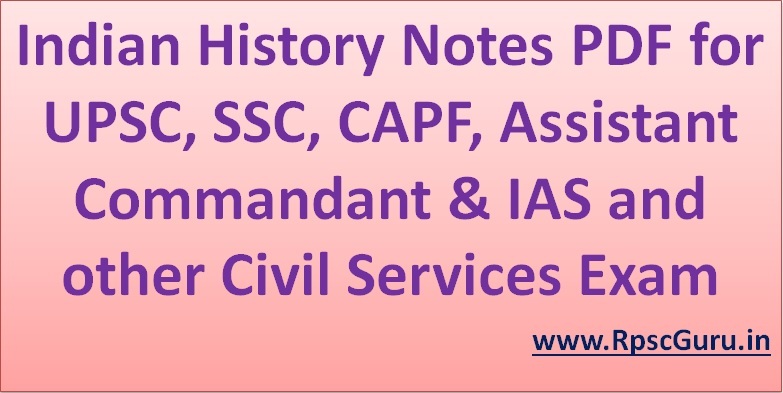 All topics are prepared after than details analytics of previous year questions and all of syllabus, Thease are asked in various UPSC and SSC level examinations and possible for upcoming examinations. After read carefully of all Indian History Notes you can able to get fully scored of marks in this parts.